from any Wi-Fi enabled device. 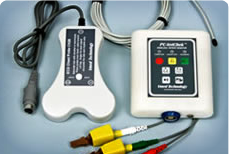 Vmed veterinary monitors include the PC-VetGard+ wireless multi-parameter surgical monitor; PC-VetChek wireless ECG and recovery monitor for post surgical and critical care monitoring, ECG Lead II evaluation in pre-surgical screening or as part of the annual physical exam for animals at risk of cardiac abnormalities; the free reviewer software for storage and recall of recorded ECG files; the Vmed Interpreter for the automatic interpretation of recorded ECGs and the Ultrascope Doppler for cardiac evaluation of exotic animals. 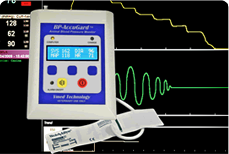 Vmed blood pressure monitors include the Vet-Dop2 Doppler and the BP-AccuGard oscillometric monitor, both used extensively for diagnostic and surgical monitoring. 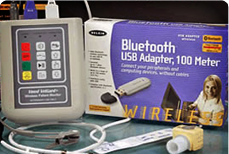 Go Wireless...Go Digital with Vmed Bluetooth wireless monitors. 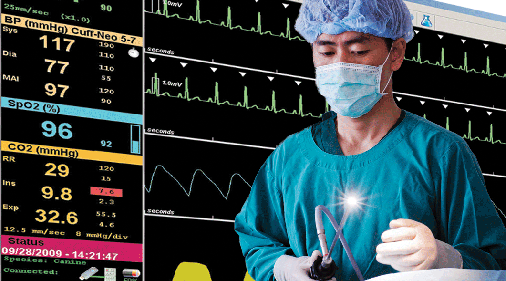 Vmed Bluetooth wireless monitors are highly resistant to interference (see clinical papers). Bluetooth is omni-directional to a range of 100 meters, line of sight. All controls except keyboard entry are at the patient's side. Save space, eliminate cables and store files automatically. 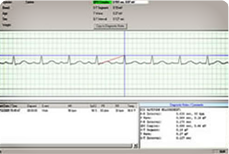 Vmed monitors establish a wireless link to your Windows desktop, laptop or tablet computer to display real-time patient monitoring waveforms and digital data on your computer screen. Monitor up to seven patients on one computer. Files may be recalled for analysis, transmitted by email or printed in a concise report. 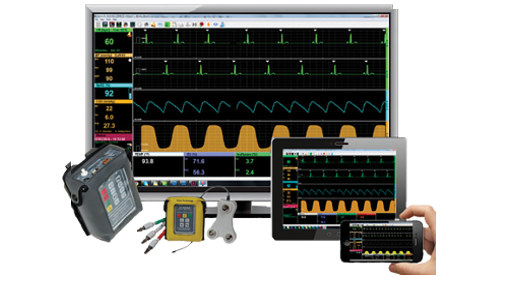 All hardware, software and monitoring accessories are provided with our multi-parameter patient monitor, ECG monitor and our oscillometric blood pressure monitor. Vmed software is compatible with Windows 10, 8, 7, Vista and XP computers.